Professional teeth whitening services have their share of benefits but before you decide to go somewhere to have your teeth cosmetically whitened, you should first ask some questions. This allows you to get a feel for a business, the process it uses, and how much it charges. How long does the service take? This allows you to plan your schedule accordingly. Most teeth whitening sessions range from 20 to 40 minutes depending on the process. Our Double Teeth Whitening Session is 40 minutes long and clients typically go up 8-10 shades whiter. How much cost is involved in teeth whitening sessions? Generally speaking, dentists charge patients more than what professional teeth whitening businesses do. We offer a Double Teeth Whitening Session for just $89 which is normally the price of a Single. Touch-Up Sessions are just $25. Will I experience pain from having my teeth whitened? The answer should always be “No!” With options that are pain-free, why would you want to experience a process that wasn’t comfortable? What can I expect from the professional whitening my teeth? You want someone who is knowledgeable about the process and skilled so that it’s done right. An authorized dealer or employee specializing in cosmetic whitening procedures will help you at SmileLABS. Will I notice a difference right away? You want to be able to notice a difference right away. With us, you’ll notice that your teeth are 8 – 10 shades whiter in one sitting. Why shouldn’t my dentist whiten my teeth? The process is completely different. A dentist uses messy whitening trays and charges a higher fee for the same type of service we provide. 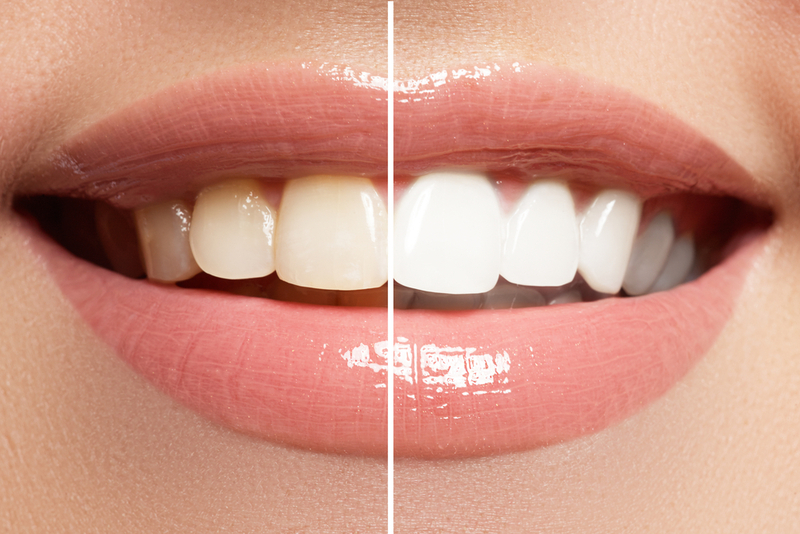 How long does a whitening treatment last? You want long lasting results which is why it’s necessary to ask this question. You’ll see 6 months to a year or longer of whiter teeth although you might want to come in for Touch-Ups with your left over gel from your initial session. Asking the right questions helps you get the best quality service available. That’s why it helps to inquire about cost, time spent under the whitening accelerator light, and benefits before booking an appointment with SmileLabs of Olean. It gives you the information needed to make an informed decision about professional teeth whitening services.